Putting more dollars into the state's roads and bridges may be gaining momentum at the capitol. House Speaker Philip Gunn of Clinton, told members of the Mississippi Economic Council the challenge is not raising taxes or fees to fund improvements, which he says are the options MEC has offered. MPB's Mark Rigsby talks with Scott Waller of the Mississippi Economic Council. Waller says they're committed to helping legislators find multiple means of funding infrastructure improvement. Learn more about week one of the 2017 legislative session on the Season Premier of MPB's At Issue. It's tonight at 7:30 on MPB TV. Federal money comes into Mississippi each year in the form of a TANF block grant. TANF stands for Temporary Assistance for Needy Families. A new report says the state should spend more on direct childcare costs and cash assistance to families. The report is called TANF at 20 in Mississippi. 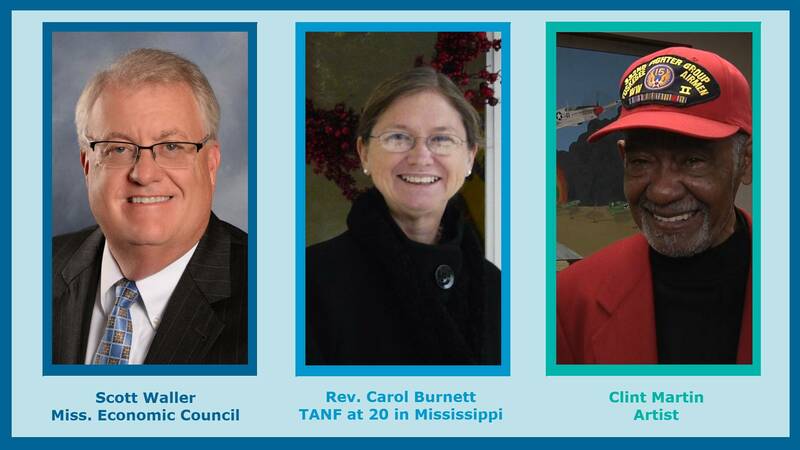 We talk with Carol Burnett and Matt Williams of the Mississippi Low-Income Child Care Initiative, which produced the report. Clint Martin is an artist. Paintings depicting airfields, planes and runways are especially meaningful to him. After all, his uncle was a Tuskegee Airman. Martin was at the State Capitol yesterday, where one of his paintings was being unveiled. He spoke with our Mark Rigsby about how it all came about.